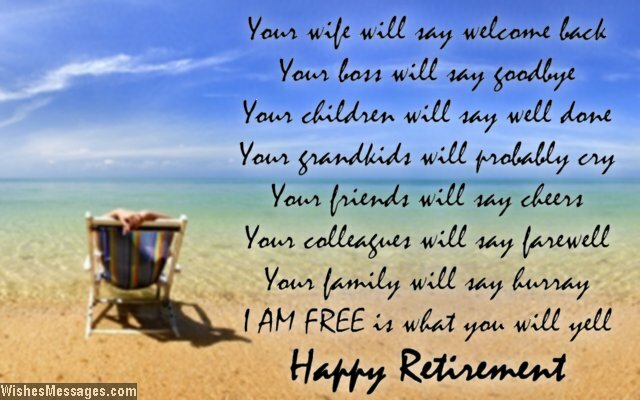 Retirement poems for dad: Make your old man’s retirement a celebration that is worthy of all the decades of hard work and commitment he’s shown towards his job and family. Have a little family get-together as you celebrate the end of your father’s career. 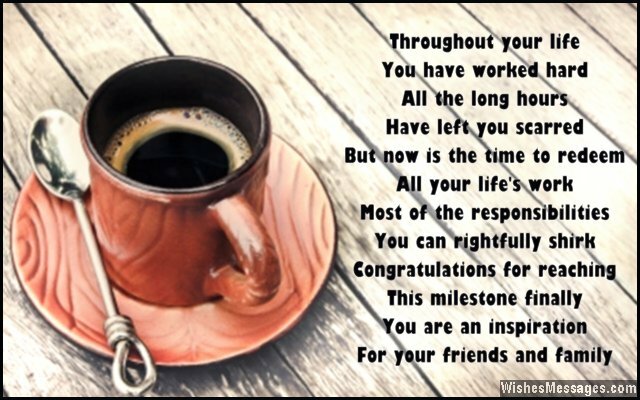 Write a short poem on a greeting card and present it to him as a keepsake while you say a few nice words in a speech at the family dinner table. 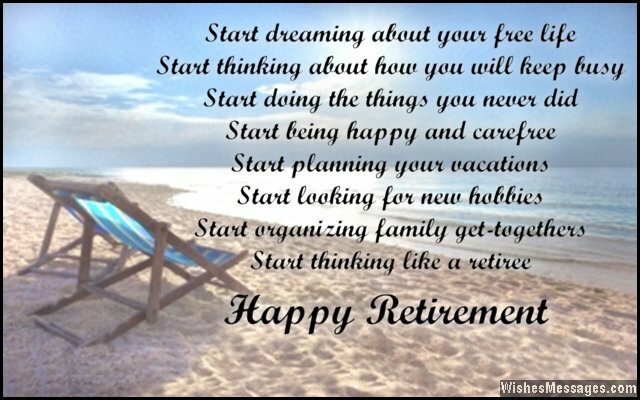 After all, if your dad can work all his life to provide for his wife and kids, showing gratitude and making his retirement a memorable affair is the least you can do.